Washington (CNN) – Embattled former New Jersey Gov. 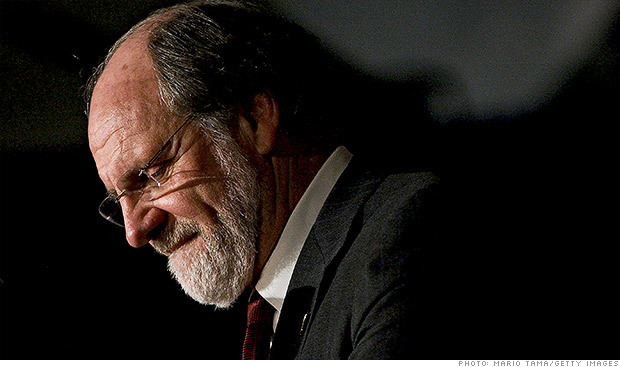 Jon Corzine, the man who was at the center of the $1.6 billion MF Global collapse, will be the co-host of a Ready for Hillary fundraiser in the Wainscott, New York later this month. Corzine will co-sponsor the event along with special guests David Brock, the head of Correct the Record, a pro-Clinton messaging and rapid response group; actress Ashley Judd and Craig Smith, a longtime Clinton friend and Ready for Hillary senior adviser. 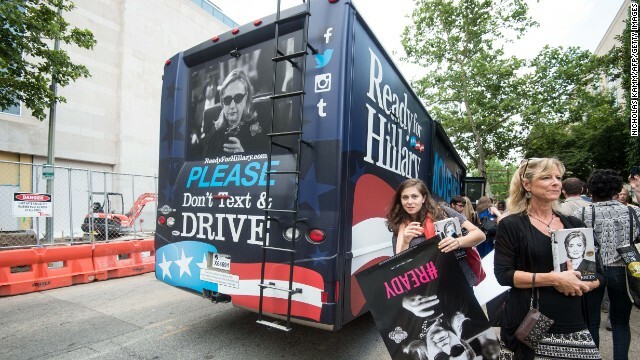 (CNN) - The gang at Ready for Hillary shouldn't have any problems when it comes to gas money for their bus, which is on its way to the Netroots Nation conference in Detroit. 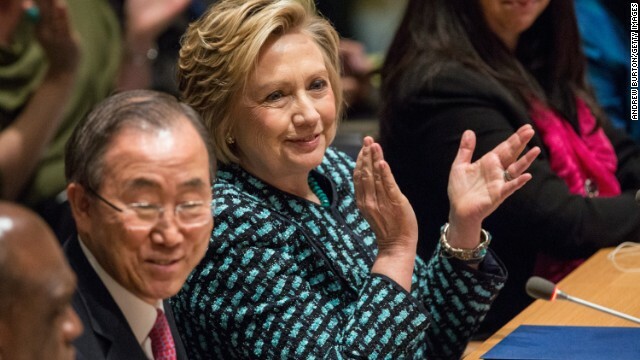 The pro-Hillary Clinton super PAC urging the former secretary of state to run for president announced Tuesday that it raised more than $2.5 million the past three months, adding 33,000 new donors in the second quarter. Since forming 18 months ago, Ready for Hillary says it's raised over $8.25 million and now has more than two million supporters. 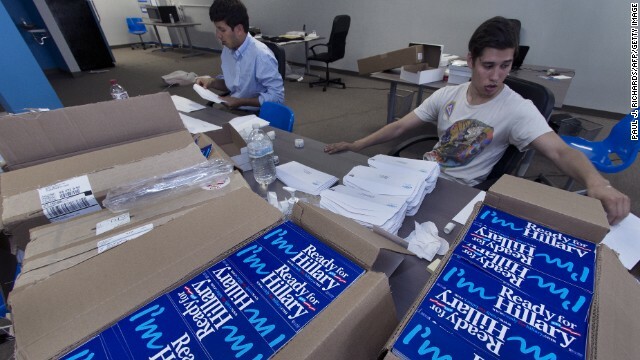 Washington (CNN) – A pro-Hillary Clinton super PAC is stepping up its involvement in key presidential primary states – but swear they are primarily focused on 2014. Ready for Hillary, the group that is urging the former secretary of state to run for president in 2016, has donated $10,000 to the New Hampshire Democratic Party. The donation is the max the group can give to the party given their current FEC standing. Arlington, Virginia (CNN) – At Costco, even the book signings are in bulk. 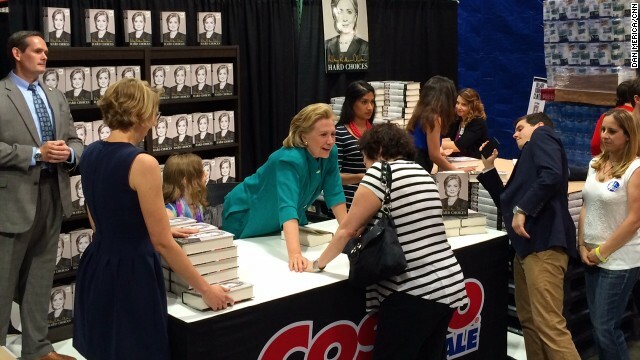 Flanked a steady stream of admirers - some of whom camped overnight - and surrounded by pallets of water bottles, paper towels and desk chairs, former Secretary of State Hillary Clinton signed more than 1,000 copies of her book "Hard Choices" at a Northern Virginia Costco on Saturday. In addition to the stream of fans, Clinton was also greeted by Rep. John Lewis, a civil rights icon and congressman from Georgia, and Associate Justice of the Supreme Court Sonia Sotomayor, who both unexpectedly attended the signing. 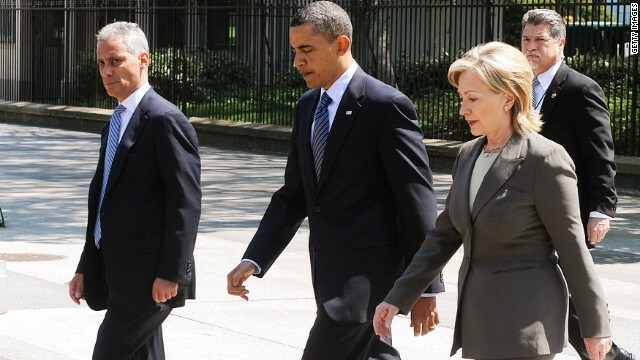 Washington (CNN) – Chicago Mayor Rahm Emanuel made his support for Hillary Clinton official on Friday, announcing through a pro-Clinton super PAC that he supports the former secretary of state for president, if she runs. The former political adviser to Presidents Bill Clinton and Barack Obama said he has seen Clinton's work firsthand and encouraged her to seek the office. 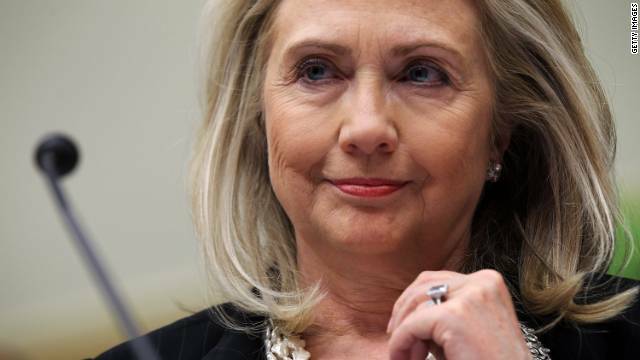 A Hillary Clinton 2016 campaign could cost $1.7 billion? 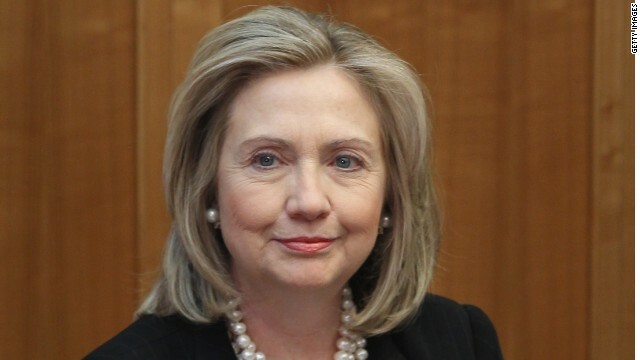 Washington (CNN) - With every passing month, the campaign to encourage Hillary Clinton to run for president grows. And supporters at the Ready for Hillary Super PAC say they're turning up the heat. (CNN) – In the lead up to Tuesday's special election in New Hampshire, Ready for Hillary, a super PAC urging Hillary Clinton to run for president in 2016, touted their involvement in the race for the state's Executive Council. One problem: The Democrat lost. Washington (CNN) – Ready for Hillary, a super PAC urging former Secretary of State Hillary Clinton to run for president in 2016, is in New Hampshire on Tuesday, working to help influence a Granite State special election before voters go to the ballot box. Although the move is unique for a national super PAC focused on the 2016 election, it could be considered an early investment that could later pay off in New Hampshire, which holds the first-in-the-nation presidential primary. 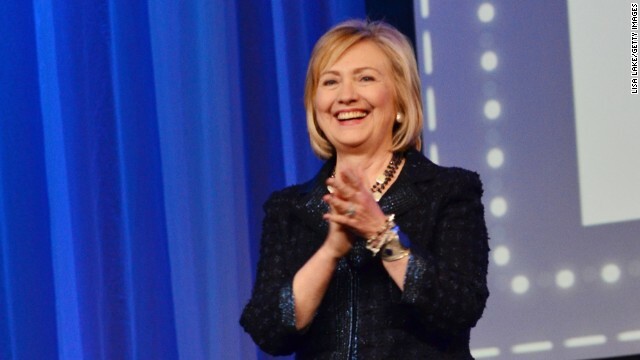 Dallas, Texas (CNN) - Ready for Hillary, the independent group laying groundwork for a potential Hillary Clinton presidential bid in 2016, will make its first public foray into the early primary state of South Carolina later this month with a fundraiser in the state capital of Columbia. The low dollar event – like many Ready for Hillary fundraisers, the price of admission is just $20.16 – will be hosted by state Rep. Bakari Sellers “and special guests,” according to a copy of the Feb. 20 invitation obtained by CNN. Washington (CNN) – Who says you need a candidate to raise a bundle of cash? 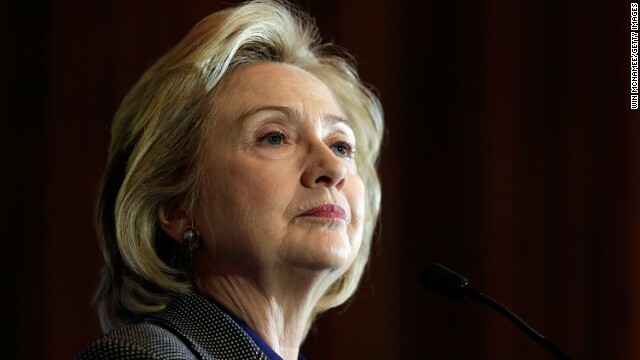 Ready for Hillary, the grassroots Super PAC urging former Secretary of State Hillary Clinton to run for president in 2016, raised over $4 million from roughly 33,000 donors in 2013, Seth Bringman, the group's spokesman, said Tuesday.